What I love about this shop is that it is well lighted, clean and the products are all organised and priced. 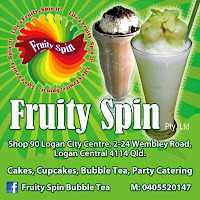 The shop owners are very down to earth, who actively supports Filipino activities around Brisbane. I go here regularly to replenish my depleted Filipino ingredients and treats. In their freezers they stock frozen Asian/Filipino fruits and vegetables, desserts, kakanins, boneless bangus, longganisa and beef tapa to name a few. They have a huge range of different Filipino ketchup, fish sauce, soy sauce, vinegar, bagoong, halo-halo ingredients, Del Monte products and assorted tubs of biscuit/crackers. Money Transfer and Door to Door Parcel to the Philippines are offered if you have relatives back in the Philippines. This is a super cute shop! I have never known about it. Also Best Friends is a gorgeous name. @Ray~ Best Friends is only here in Brisbane, Australia. It's a very nice shop the one in Fortitude Valley....clean, tidy, products are always replenished with new stock and the staff are friendly and attentive. Hi, thank you for this info. I have just returned from fil and miss many things from there and was wondering where I could get this stuff. I hope their other venture sells Bananaque my gf introduced me to it and i am now in love with 2 things from fil. @Jeremy~ you're in luck, Kainan sa Valley sells Banana Que but it is not the fresh Saba ripe bananas they use...they use packaged ones (defrosted)as fresh ripe Saba bananas are hard to come by here in Brissy. Pls, check my Kainan sa Valley post on the 2nd to the last pic you will see a Banana Que on a stick. Hello! Thank God for your site! I am relatively new to Brisbane (as my family is based at the Gold Coast) and I had no idea there was a Filipino-Asian shop around the city. I usually had to go back to Southport every weekend to get my fix of pinoy food items. And WOW! They have Magnolia ice creams. Where exactly at the Valley is it located? The joy of such discovery. @Binshu G~ First of all thank you for visiting Busog! Sarap! If you get off the train, you go up where Brunswick Station Food Court is...there's a passage way on the left side, like a bridge connecting to McWhirters Building if you keep on walking it will lead you to the McWhirters Food Court...first you will see Kainan sa Valley, just keep on walking till you reach the end and bang...there it is=) Call the tel no. first to make sure they have Magnolia because sometimes they go out of stock quickly. There's another filo grocery store in Inala (just been there this afternoon) I saw some Filo Icecream but different brand. @Anonymous~ You can buy frozen cassava grated or cut in big chunks in any asian groceries here in Brisbane....if you are talking about coco jam (pinoy) you'll find it in all Filipino stores here in Brisbane and even in Yuen's. This is by far one of the best filipino grocery store in Brisbane. Its a very nice, inviting place where you can almost buy all the filipino goods youre after. My sweety and I always shop in this place. Its always enjoyable to come here and also eat at their Kainan located near the area. @cusinera is there a blog on Sampaguita Restaurant at the Gold Coast? I highly recommend this restaurant also! Best Friends Groceries will be celebrating their 20th Anniversary this July 2012. So, watch out for the big SALE in store. hello their how are you?we would like to ask.about sending money in pinas?could you pls help me of this thank you,and how much the rate today? @Anonymous~ this is not their website page, it's my post about BEST FRIENDS, you have to ring them up. hi there.Can i ask if i can order here in online and i will pay to your account or paypal account and send me the items of the post office if it's ok? @wennie jones~ Busog! Sarap! is not connected with BEST FRIENDS, you have to ring them up for enquiries relating to any business matters PH: (07) 3854 1462. Hi, Mabuhay from Manila. Can you help me by asking their email address (BEST FRIENDS)for me, and it will be a big help for me. Thank you Kabayan. Hello! Do they sell banana leaves? Coz i might cook bibingka for this coming christmas.. Thank you! @Anonymous~ I'm not sure if BF sells banana leaves but you can find frozen banana leaves in Yuen's and Inala Asian Shops. Is there anything like this on the Gold Coast? @Anonymous~ I haven't been around that much in Gold Coast for me to need some Filipino products, sorry...personally haven't been to a Filo store in GC. @Anonymous~ BestFriends vs Inala....Personally I buy in both locations and even travel to Sunnybank if I have to. The prices of the Filo products kind of balance, kasi some products are either expensive or mas mura in all of this locations...I should know because I frequently visit all this locations at least 2-3 times a month or more. I specifically go to BestFriends because there are products there that are hard to find that are only available in that shop, and the goods are always freshly stocked because maraming bumibili (specially the frozen items). Hi, Is there a Best Friends shop in Sunnybank? If so or not, either way, where could I buy cassava? You can buy frozen cassava (grated/whole) in any asian store who sells frozen asian products. Inala Asian Stores offers fresh cassava when it's in season. I heard they relocated somewhere in Sunnybank. oh im so excited to get TO go shopping in BEST FRIENDS.. I know Im so behind but my brother inlaw is married to a filipino and is the best cook (besides mother dearest of course) I'm happy and SO EXCITED to have seen your site. Is Best Friends Store still there? I have been craving filipino desserts and been looking up desserts for my nieces 5th b'day in July. Thank you thank you thank you soooo much for posting this up!!!!! I've book marked your site so I can go visit...maybe next week. Thanks again for sharing this. Yes, Best Friends is still open...you're so welcome...thanks also for visiting Busog! Sarap! BLOG mo to di ba? Nirerespeto kita pero sana ipublish mo ang comment ko. Blogger so alam mong marami ang positive feedback at for sure meron at meron ding nega.So please lang LEt the public decide. I do publish comments that are negative but yours are too brutal and I don't want to be involve in this mess due to legalities. But I do encourage you to complain to the right authorities if your problems with this business are valid.